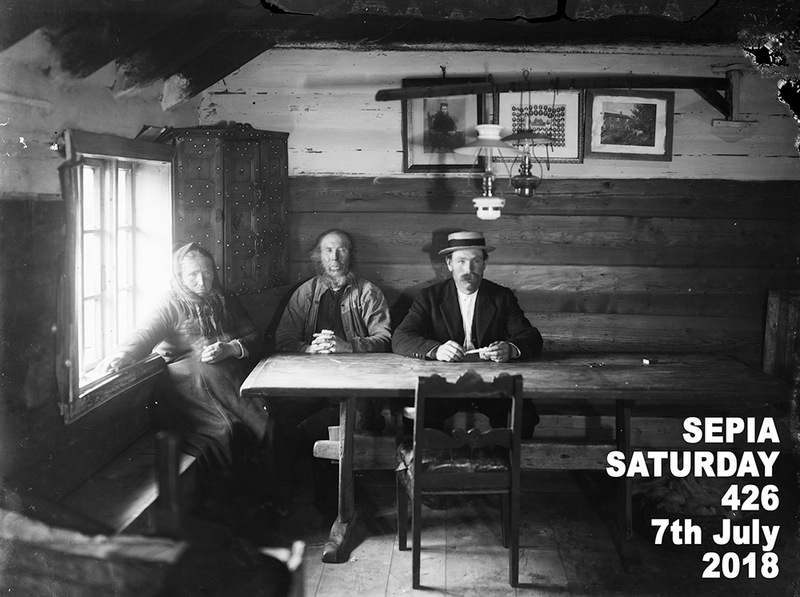 There are some Sepia Saturday theme images which have a Sepian's name written all over them. 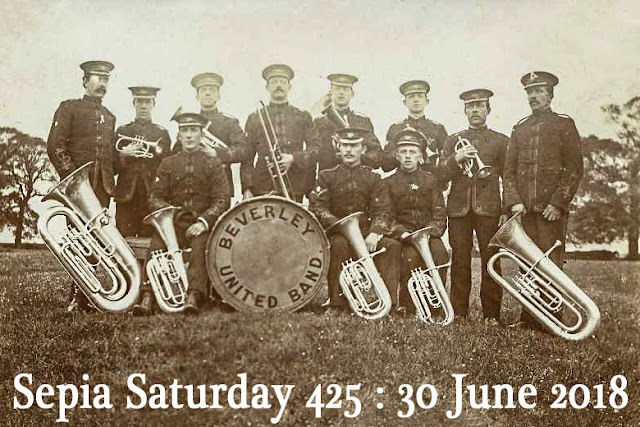 No, I don't mean Beverley, but I do mean our good friend Mike Brubaker who has been a loyal supporter of Sepia Saturday ever since the beginning and who has fascinated, educated and entertained us over many years with his posts about bands and musicians. If ever a theme image was perfect for Mister Mike to work his magic on, this is it. 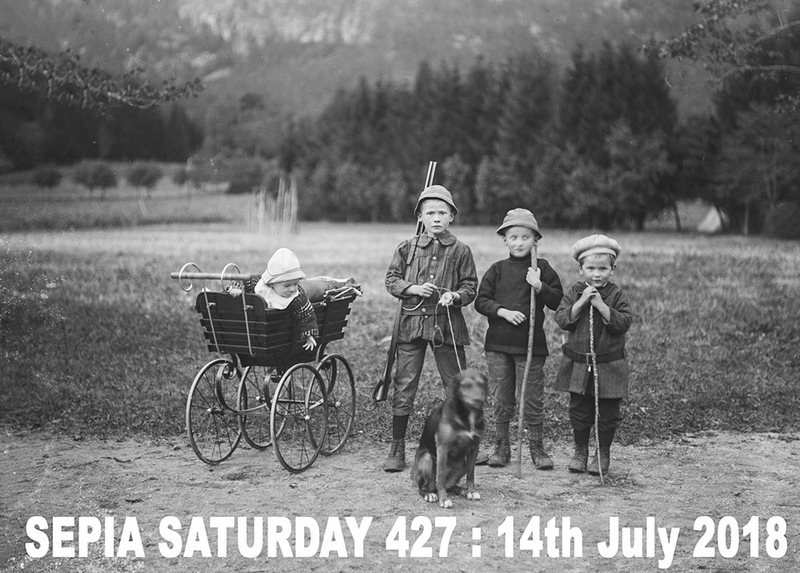 Whoever you may be, if you want to participate in Sepia Saturday this week, post your post on or around Saturday 30th June and add a link to the list below. And here are the next two Sepia Saturday theme images. It's a good match I think. Musical of course. 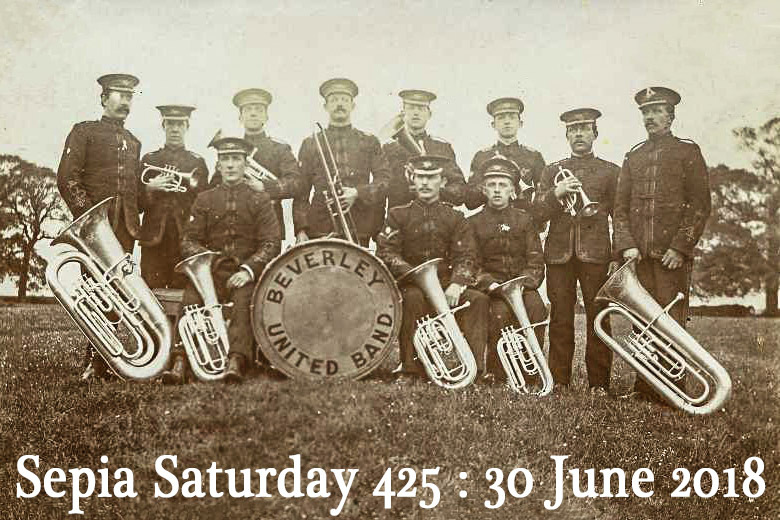 My great-grandfather Arthur Bull would have benefited from a band like this playing a tribute at his funeral, which I write about in this week's post. This post has caused me nothing but hassle for such a light-hearted topic. My finger slipped on my first attempt at posting it onto Sepia Saturday - hence a wrong link. 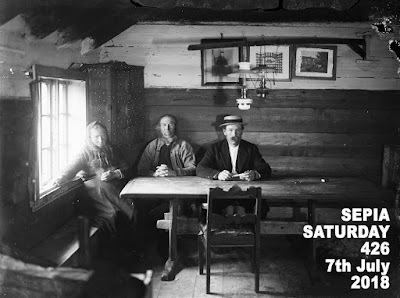 Do try again with Scotsue - Correct Link, and enjoy seeing the photographs and press reports on Earlston Clown Band in the early 20th century. A short summary of June, and one band that I can share from another blogger. Late is my middle name! I was able to tie this week's post to last week's post. Can you tell me what the themes are for the two weeks coming up please? I see the photos, but I’m not sure of the themes. Thanks. Please disregard my question. Duh! I see all the themes now.